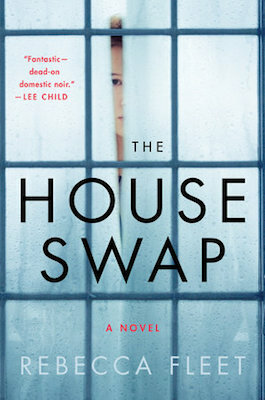 In the following exclusive excerpt from The House Swap, by Rebecca Fleet, out on May 22, a couple on vacation finds their marital problems are far from over, and their vacation spot, arranged on a house-swapping website, proves to be more sinister than welcoming. The key slides and turns in the lock, as smooth and slippery as a silverfish. Lying in bed last night, staring at the trembling shadows of the branches grazing the window and thinking of this moment, I thought it would be harder. I imagined scratching metal. Jarring resistance. After everything that has led me here, it feels as if it should be more of an effort. But it’s easy—an anticlimax, even. An eggshell cracked in the hand and tossed aside. The door swings open and the pinewood boards of the hallway unfurl ahead, gleamingly polished and clean. Just inside, stiff dark branches studded brightly with plastic-looking berries protrude from an ornamental vase. Reflected in the mirror, I can see a row of framed photographs lining the far wall. Stepping inside and closing the door softly shut behind me, I move fast through the hall, keeping my back to the wall. I won’t look at them, not yet. Soon. The country-style kitchen—oddly out of place in this third-floor city flat—is decorated in pale green, artfully hung with saucepans and dried bunches of herbs. On the oak table lies a torn-out piece of paper, darkly scrawled with ink. Welcome! it reads. Instructions for all appliances in the green folder in the lounge. Bread, milk etc. in the fridge—help yourself. Do call if you need anything. Enjoy your stay and make yourself at home! Caroline. I stare at her name for a long time. The confident slash of the C, the spatter of ink where the dot of the i has bled across the page. I touch that spatter with the ball of my thumb, half expecting it to rub off on my skin, but of course it has long since dried up. At last I get up and make a cup of coffee. I will do as Caroline invites. I will make myself at home. I drink it sitting at the table, imagining the rooms still to be explored. The secrets that might be tucked inside them, tightly curled up in her possessions and ready to be extracted. I remember the fox I saw crouched by the roadside as I drove past this morning, digging into some unidentifiable corpse—the sharp flash of bloodied silver on its claws as it teased out what it wanted. This will be like that. Dirty, unpleasant. That’s the way it has to be. The way I want it. It’s the only way to get under the skin. When we turn into the street my first thought is that the houses around here all look the same. Neat whitewashed rectangles with boxy little windows and flatly sloping roofs. They almost all have window boxes, too—lined up along the lower sills and filled uniformly with white and purple pansies, like they’re subject to some sort of dress code. There must be around thirty of these houses, all prettily popped off the production line. “Welcome to suburbia,” Francis says, squinting through the setting sun that strikes the windscreen as he steers the car down the road. “I hope you’re happy.” His voice is deliberately grumpy, self-mocking. Dirty, unpleasant. That’s the way it has to be. The way I want it. It’s the only way to get under the skin. “It’s not so bad.” The reply is automatic, made before I have had the chance to consider whether or not I mean it. It happens between us a lot these days, this kind of conversational fast‑tracking. Cut and thrust, back and forth. Adversarial but nonthreatening, like two children mildly squabbling in the playground. Francis glances at me out of the corner of his eye, makes a face. I stare out of the window, taking in the line of houses again as we crawl down the narrow road. Now that I look more carefully, I can see the little touches of individuality that some of the owners have tried to impart. A garishly painted garage door here, a smart gold number plaque there. One of the houses, number 14, is a little less smart than the others—its walls scuffed faintly with dirt, the lawn longer and more overgrown, tangled with weeds. “They’re letting the side down,” I say, gesturing out of the window. “Neighborhood Watch’ll be on to them.” Francis smiles faintly, not really listening. “Twenty‑one, right?” he asks, already swinging the car into the driveway. I scan the house, looking for distinctive features, but there are none. The lawn is precisely clipped, and the windows are framed with little bunches of curtain, white and spotless. The lights inside are off, and for an instant I see the reflection of the car bounced back at us from the downstairs window in the glare of the headlights, our shadows inside darkly outlined side by side. For some reason, the sight gives me a tremor of unease—a slight, irrational pulse that slips away as soon as it comes. “Looks all right,” I say, wriggling out of my seat belt and pushing open the car door. It’s colder outside than I imagined, the wind prickling the hairs on the back of my neck. Francis is climbing out of the driver’s seat, making a pantomime of his aching legs. The drive down from Leeds has taken a little over four hours—not a bad run, but long enough to breed that fusty, lethargic sense of having been enclosed and motionless for too long. In the old days we would have shared the drive, but not long after I stopped offering, he stopped asking. This is old ground. Right from the start, Francis’s plans for this week away had been more ambitious than mine. Still, his enthusiasm had spiraled out of nowhere when I had tentatively floated the idea of a house swap, lurching from apathy to manic energy in the space of seconds. He had been so appreciative of what he saw as my initiative that I had shrunk back from telling the truth: that I had signed up to the house swap site on an idle whim months ago and forgotten about it. I had only seen the message notification by chance, sifting through my spam folder in search of a mislaid communication from a friend. Someone wants to swap with you! It was an intriguing little hook, tugging me forward. I clicked on the link and there it was: a polite, featureless message from someone who signed themselves S. Kennedy, expressing an interest in our Leeds city‑center flat and offering their Chiswick house in exchange, if a suitable time could be found. I had flicked through the pictures of number 21 Everdene Avenue—the unremarkable décor and the cool, pale walls, the nicely kept front lawn—but in truth I had barely taken them in. 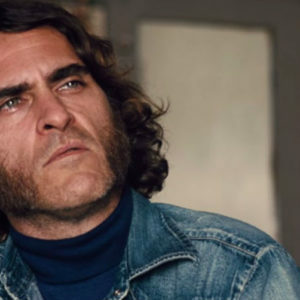 All I could think was that here was a chance for a change of scene at minimal expense, a week away for just the two of us, if my mother could take Eddie. Close enough to London for sightseeing day trips, far enough out of the center to feel like a break from city life. We had toyed with the idea of a holiday in Spain months ago and abandoned it. Too much money and too much effort, or at least so we had told each other. Perhaps Francis, too, had been secretly daunted by the implications of an exotically hot hotel room and candlelit evenings on a mimosa‑scented terrace. Francis is ferreting beneath the plant pots at the side of the house, locating the key. “Brace yourself,” he says, brandishing it. I roll my eyes, ignoring the sudden decisive shudder that passes down my spine. Ridiculous as his words are, I can’t help feeling all at once that it is a weird thing to be doing—squatting in the house of a stranger. I remember a program I watched months ago: some crackpot psychic floating around a supposedly haunted house, wittering on about how its past tragedies were ingrained in its walls. I had scoffed, but that night I had dreamed of walking through silent rooms and cool dark corridors, breathing in the infected heaviness of their air. That night I had dreamed of walking through silent rooms and cool dark corridors, breathing in the infected heaviness of their air. I half smile, intent on taking in our surroundings. It’s the emp‑ tiest house I have ever seen. Nothing on the walls, not even a mirror. Pale pine floorboards and smooth blank doors opening into near‑vacant rooms. A lounge containing a black leather sofa, monolithic and stark, and a sparsely filled bookcase. At the end of the corridor, I glimpse the kitchen—the bare pinewood table and a gleaming oven that looks as if it’s just been installed. “Cozy,” I finish, as we reach the bedroom. It’s like an exhibit in a modern‑art show. The double bed is made up neatly with a dark chocolate–brown duvet and two pillows, and there is a bedside cabinet, as well as a wardrobe looming in the corner of the room, but it’s just as devoid of personal possessions as the other rooms. There is a sheet of white paper lying on one of the pillows, folded precisely in half. I cross the room and unfold it; it’s typewritten, in a small centered font. Dear Caroline, it reads, I hope you enjoy your stay. Information in kitchen folder. Please help yourself to anything you find. S.
I glance at him across the room, and just like that the atmosphere shifts and changes, our laughter sucked up into the space between us. The silence lasts a little too long for recovery, and I let it stretch, leaning back against the bedroom wall and shifting my gaze to the chilly brightness of the sun striking the skylight window. I don’t have to look at him to see the expression on his face: lost and vacant, a strange mixture of mutiny and regret. “OK . . . ,” I say, just for the sake of speaking, and as I do I can feel panic starting to rise. I’m already missing Eddie, and the bridge he provides between us, the shared love and focus we can turn on him. Now there’s only the sudden claustrophobic terror of being trapped in this strange house with my husband for seven whole days, with each hour feeling like a potential land mine that we will have to tiptoe around, avoiding anything that might explode the still‑fragile truce we have woven over the past two years. It feels oddly apt that this house is so empty: stripped back, with nowhere to hide. And that was the point, of course. We’re both tired of hiding. Sooner or later, we will have to take a step back into the light and take a look at what we have, and find out if it is enough or not. When I rub the flat of my hand across my face my palm is damp. Now there’s only the sudden claustrophobic terror of being trapped in this strange house with my husband for seven whole days. “Better get unpacked!” Francis’s tone is casually cheerful. He is busying himself with unzipping our suitcases on the bed, pulling out clothes and briskly shaking out their creases. “Might as well get it out of the way.” He’s smiling, his eyes full of warmth, but I think I can read the message behind it. Time to move on and bury the moment back where it came from. “I’m going to the bathroom,” I say, “and then I’ll come and help you.” I need a few moments to smooth my frazzled nerves. Heart thumping, I walk down the corridor toward the bathroom. My footsteps sound surprisingly loud on the polished floorboards, sharp echoing bursts of sound in the silent air, and I find myself speeding up. For an instant, I’m oddly reminded of the way I used to hurry down the corridor between my parents’ room and my own as a child—the vague supernatural sense that I wasn’t alone. I shake the memory off and push open the bathroom door. It’s another gleamingly untouched room, polished to perfection: marble surfaces and metallic fixtures. The window has been left open an inch or two. Light gusts of air are blowing through the gap, ruffling my shirt collar. I want to move forward, but I am rooted in the doorway, staring at the vase on the windowsill. It’s a bunch of pale pink roses, beautifully arranged and just coming into flower. I try to fight the thoughts, but they’re too quick for me. A pulse of despair thudding through my body—the split second of inevitability before the memory hits and explodes, too vivid to ignore. All these months of careful suppression and denial, and all it takes is the sight of some curled pink petals. Just like that you’re back in my head. Books, an imprint of Penguin Publishing Group, a division of Penguin Random House LLC. Copyright © 2018 by Rebecca Fleet.